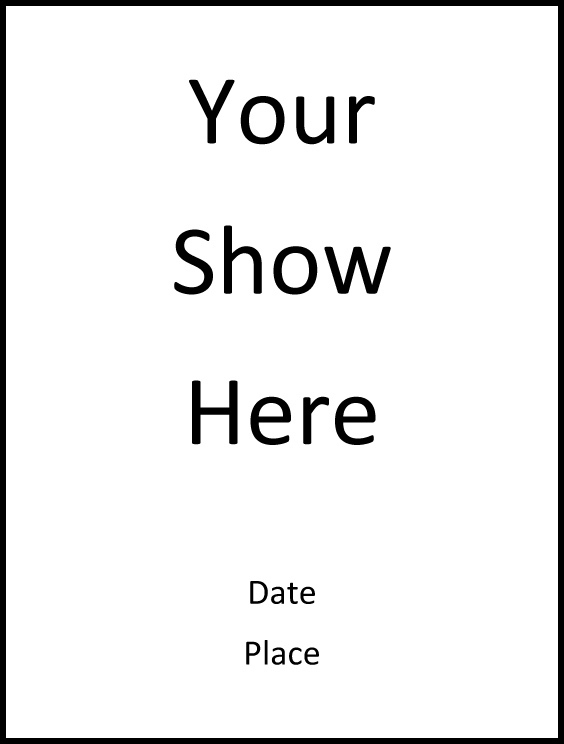 Need a program for your show but don’t have a lot of time or cash? I put together this really simple Microsoft Word template with some text boxes that you can use to just plug in the pertinent information, save it as your own document, print, copy, fold, and hand out. Is there another format that works better for you? Let me know (just send a quick message), and I’ll try to include it in this post. If you’d like to see an example of a basic program that I’ve done in the past, contact me and I’ll try to dig one up for you. Last weekend was one of the most educational that I’ve ever had as a director. I created a show called “A Grimm Night” – it consisted of staged readings of the Grimm Brothers’ bloodier and darker fairy tales. Basically, we read little known stories to a crowd in a very old, very creepy house. The set was the house. The stage was the house. It was pretty unconventional and the reaction was great. We didn’t just read the stories, we also acted them out, and tried to make them as entertaining as possible. So the lessons: first, we had 2 performances per night. One at 8pm and one at 9:15, and we performed a total of 4 over 2 nights. Somehow, we started pretty much on time for each performance (something I am not known for). 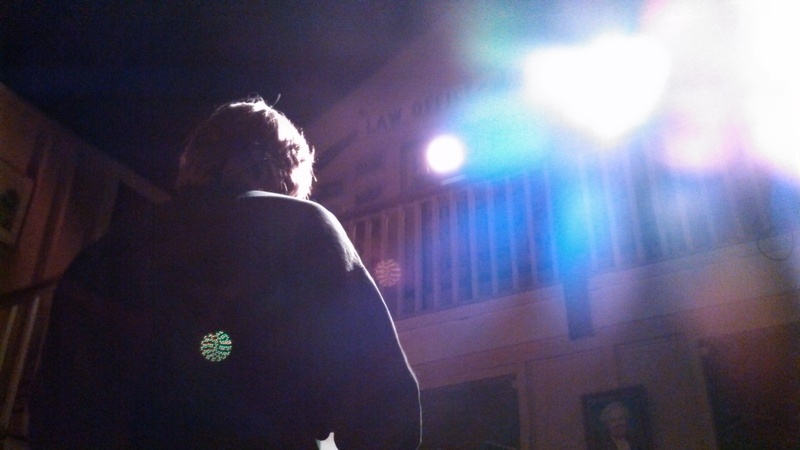 The first night’s first performance was dark. The audience didn’t clap in between stories because they weren’t sure if they were supposed to. We weren’t sure, as performers, if we wanted to keep it straight, or liven it up a little. Overall, we thought we were doing the show justice by presenting the stories as we thought they should be presented – they’re dark and weird, so we needed to be dark. The house was solemn, so we needed to be solemn. On a Friday night at 8pm, after a full day of work, this was not the best plan. The performance felt tense. As the director and a performer, it was killing me, because I couldn’t do anything about it. I just remember thinking while I was on the stage “something doesn’t feel right”, and I basically was ready to accept the fate that was dealt to me. We all felt it. There were moments that could have used a little injection of humor, the energy could have been greater, and the audience deserved a better show. And we had a nice crowd – nearly a full house (literally, considering where were performing). I knew we were better than that. We had approximately 10 minutes between shows. I went into the dressing room, closed the door, and talked to the cast. Honestly, I don’t remember what I said to them exactly, it was a blur, but it was along the lines of “I know we were holding back; I know we all felt like we wanted to add more to it; I trust you to follow your creativity; have fun with it; we shouldn’t be that dark”. Or something like that. We began the second performance and a magical thing happened; we had fun. And when the actors have fun, the audience has fun. Once the audience has fun, they start to really get into it. The energy rises. And once that happens, we feed on it. The stories freaked out the audience, but the inflections of humor, the energy, and our interpretations and nuances really added a sense of fun while taking nothing away from the rest. The lesson learned: sometimes, you don’t know how a show will be received until you get an audience in front of it. As a director, it’s very important to admit when you’re wrong and adjust. I learned that from the first audience, and I changed my direction. It created a successful show that was very well received. They clapped, they laughed, and they were appalled at how insane the Grimms really were. There was one person who watched both and was absolutely astonished at the change. “It was like watching 2 completely different shows,” she said. I felt the same way. As for that first audience – they still enjoyed the show, but in a different way, despite what I thought. But it wasn’t up to my standard yet. The second lesson I learned was very simple. To be fair, it wasn’t really a lesson, but more of a proof of concept: every single person in the audience counts, and if you have a scheduled performance, you perform. At 8pm on the second night, we had exactly 0 paying customers (the next show was packed). I told 2 crew members who hadn’t seen the show to take a seat and we performed for them. Seven minutes into the performance, we get a latecomer, and have exactly 1 paying customer. We gave them all the same energy, and the same show that we would give a sold out crowd. They deserve it. If we had decided not to perform, then they would have been deprived of our performance, we would have had to start late for the paying customer, we would be in a rushed mindset, and we would have been very late for the next performance. Be professional. Be thankful for every single person who comes to your show, and give every single audience – whether it’s one person or 1,000 – the same top-quality performance.